ATLANTA – Central Atlanta Progress (CAP) and the Atlanta Downtown Improvement District (ADID) will host their semi-annual Town Hall meeting on Wednesday, January 23 at Theatrical Outfit at the Balzer Theater at Herren’s, located at 84 Luckie St NW. Beginning at 7:30 a.m., attendees will have the opportunity to network over coffee with key Downtown stakeholders, residents and business owners prior to the 8:00 a.m. program. Informative, informal and entertaining, Town Hall meetings are free and open to the public and are designed to enlighten the community on Downtown’s progress. All individuals interested in learning more about the changing climate in the heart of the city are encouraged to attend. An open forum question and answer session will follow the presentation. Since 1941, Central Atlanta Progress has been behind the scenes integrating ideas, building partnerships, and coordinating efforts to improve the central city. Downtown is poised for substantial growth and development, and now—more than ever—is a great time to join the conversation and learn about the influencers and initiatives re-imagining our city. Visit atlantadowntown.com for more details and to register for the meeting. 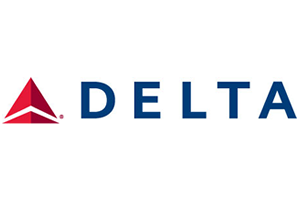 This CAP/ADID Town Hall Meeting is made possible by Delta. Getting there: Theatrical Outfit is accessible via walking, biking, MARTA bus and rail, the Atlanta Streetcar, and rideshare. For detailed driving and parking instructions, visit Theatrical Outfit’s website. About Central Atlanta Progress / Atlanta Downtown Improvement District: Central Atlanta Progress, Inc., is a Downtown business association with approximately 240 members. Its mission is to champion a vibrant community with strong leadership and sustainable infrastructure that is safe, livable, diverse, economically viable, accessible, clean, hospitable and entertaining. The Atlanta Downtown Improvement District is a 501(c)(3) non-profit, charitable corporation created by CAP to make Downtown safer, cleaner and more hospitable.